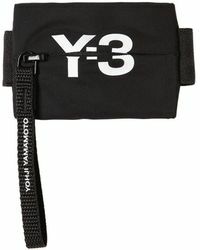 Y-3 is an elegant sportswear line designed by Japanese fashion designer Yohji Yamamoto in collaboration with Adidas. 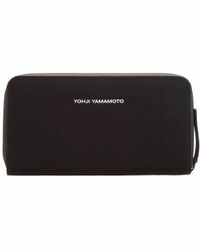 Considered a master of his craft and highly influential tailor, Yohji Yamamoto first debuted in Paris in 1981 and is famed for embracing avant-garde creative techniques. 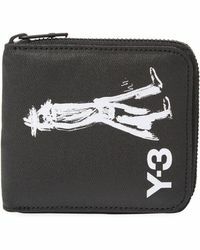 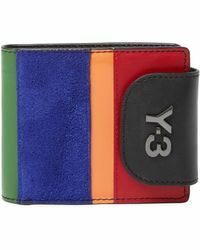 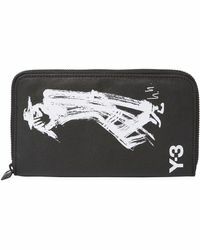 The Y-3 wallets collection features the Y-3 signature embossed on many designs, together with the trademark three stripes of Adidas. 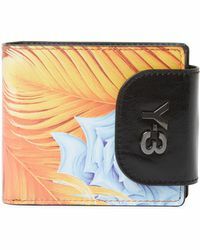 Choose from statement large purses, small card wallets and coin pouches, all embodying the collection's chic, modern aesthetic.